click photo above for link. 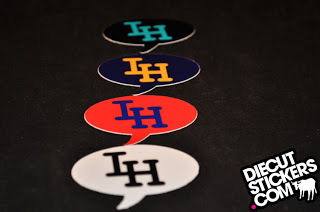 250 - digital diecut stickers at 2.5417" x 3.25"
DCS would like to thank Local Hero Clothing Co. for your order! Local Hero, established 2010, is a brand with not only a passion for the expression of art, but also for supporting causes and individuals who benefit their community in any shape or form. Our goal is to promote cultural awareness inspire creative thinking, and encourage positive action one design at a time. We are a Pacific Northwest company, but our inspirations are deeply rooted in all aspects of the word "local." Everyone has their own sense of a local community, and every community has its heroes. These leaders are often unsung, but we believe in the recognition of the causes and people we see everyday who unselfishly make our lives better. With silk screen as our ink and cotton as our canvas, we strive to paint a portrait that speaks volumes about the importance of self-expression and civil duties. Local Hero is our way of integrating our love of streetwear with our calling to make a positive difference. Local Hero is not just a clothing company; it's a statement that shows our dedication to art and service. With every product purchased, our vision stretches a little bit further and our goals are rooted a little deeper, all in hopes of uniting people with our vision. We take pride in the fact that we empower our customers the opportunity to make a difference. We are a company that challenges our customers to ask themselves: What am I doing today, that will help tomorrow?